Any great thing that you desire will require you to do some work to obtain it and will more than likely require work to keep it. As you begin to work on new projects or continue to work on current projects, keep your eyes on the prize and understand why you are required to follow the processes of building and creating. Staying focused on your tasks will help you maximize your potential after all, work attracts potential. 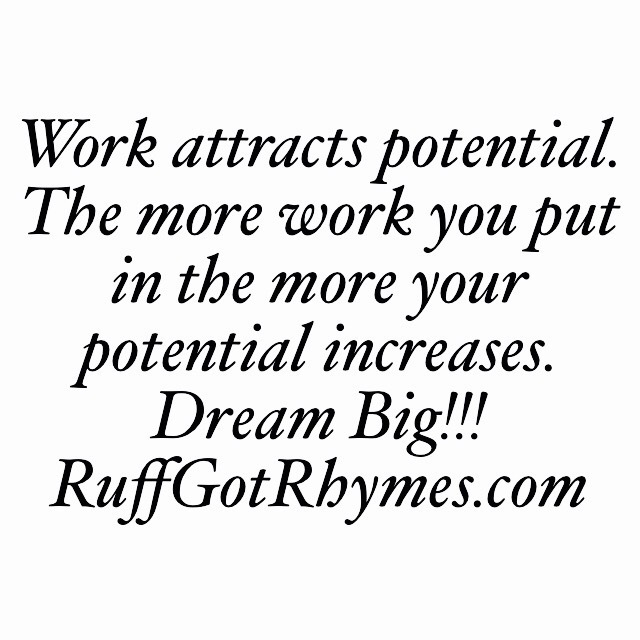 The more work you put in the more your potential increases. Don’t stop before you reach the finish line. Finish strong!! Dream Big!! !